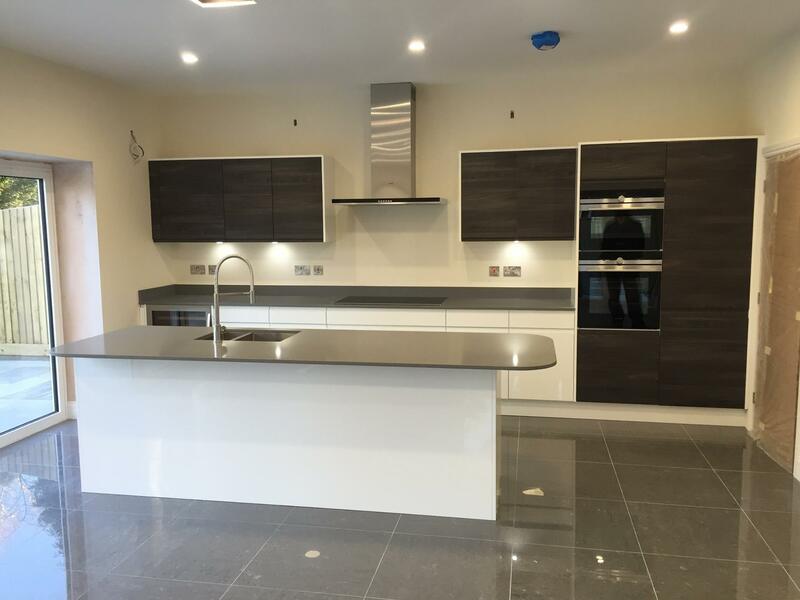 Featuring a First Impressions Welford Bright White door and a stunning Quartz 20mm worktop. 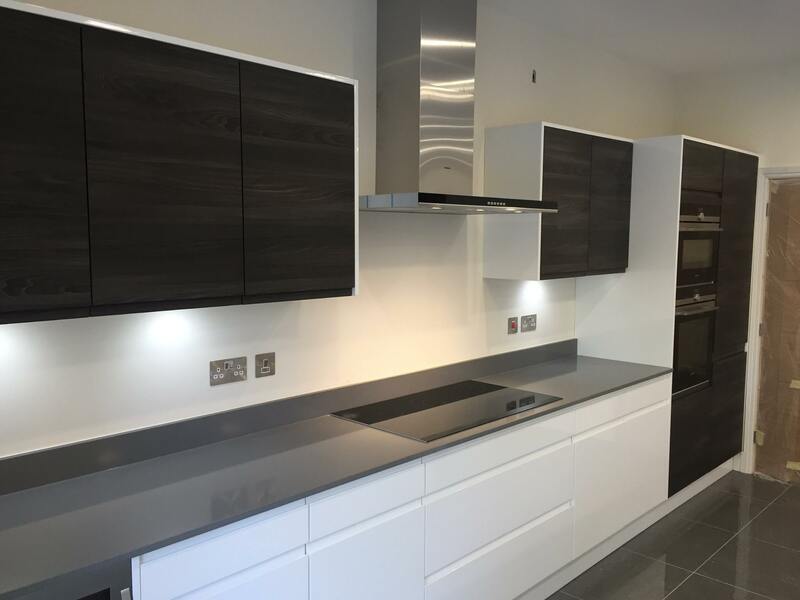 The dark grey worktops contrast beautifully with the Bright White doors, giving a spectacular modern finish. The owners have also chosen an Isala Warm Grey Oak to finish the contemporary feel off. 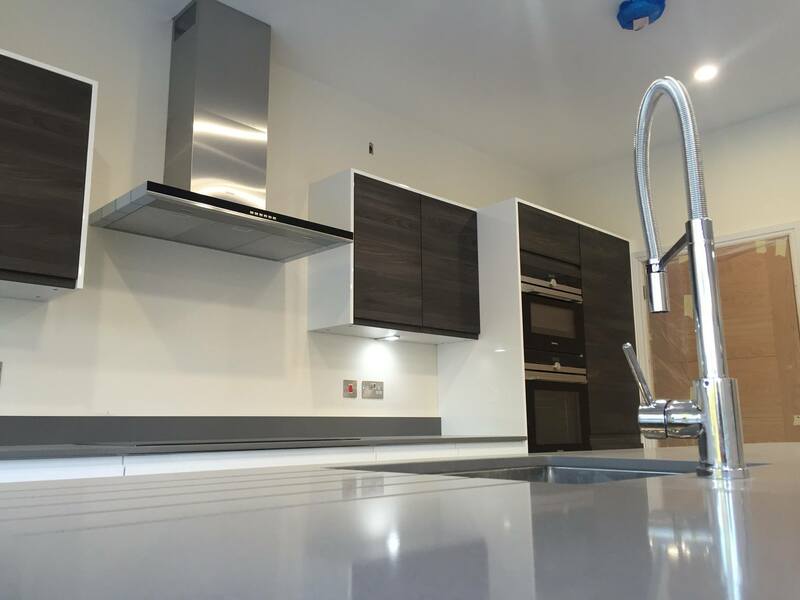 The kitchen is fitted with Caple polished chrome sink and Single Lever Tap. 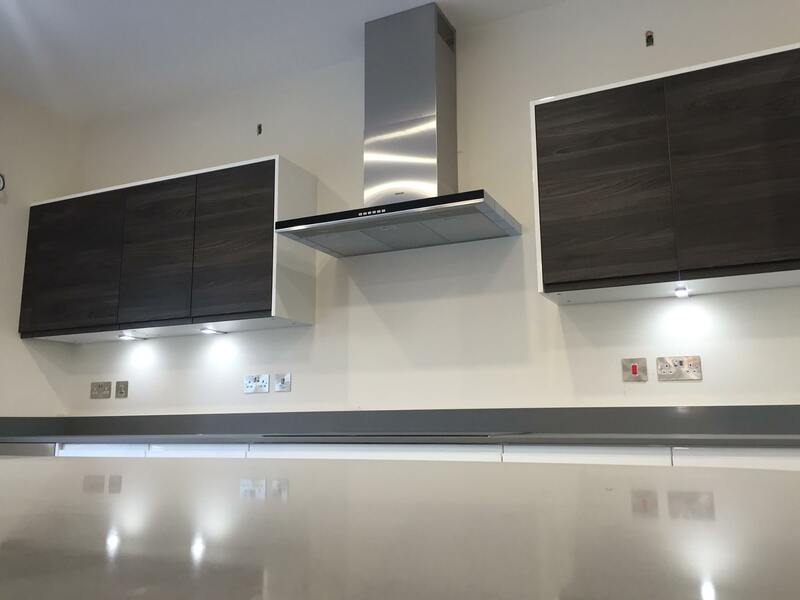 Matching the dark grey worktop is a Siemens IQ-700 built in induction hob on black glass, giving a smooth sleek finish to the work surfaces. 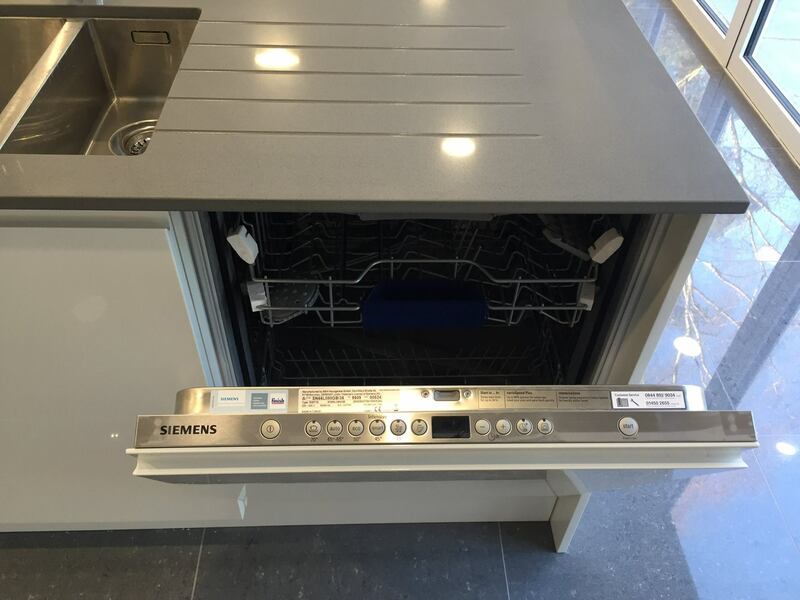 As well as Siemens compact oven with microwave and American fridge freezer in stainless steel. 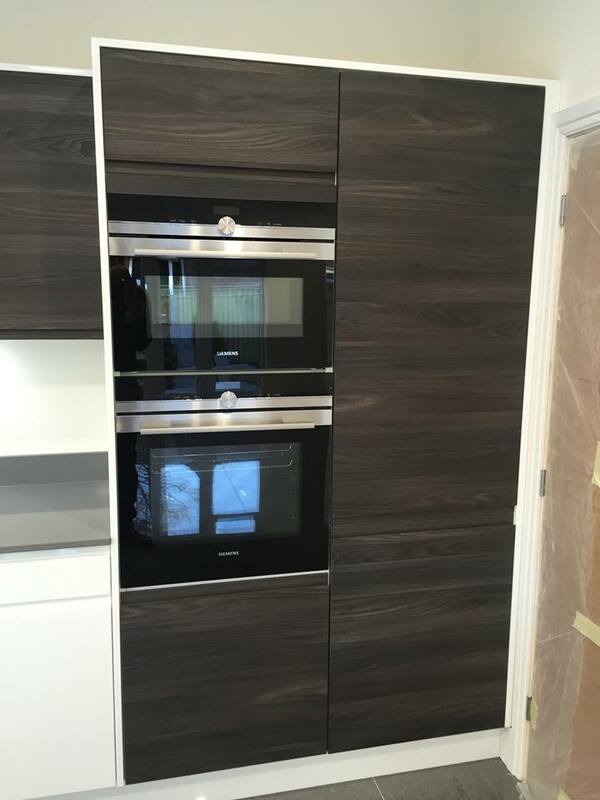 A Caple under counter wine cabinet is a great feature in this kitchen, perfect for entertaining and wine lovers.